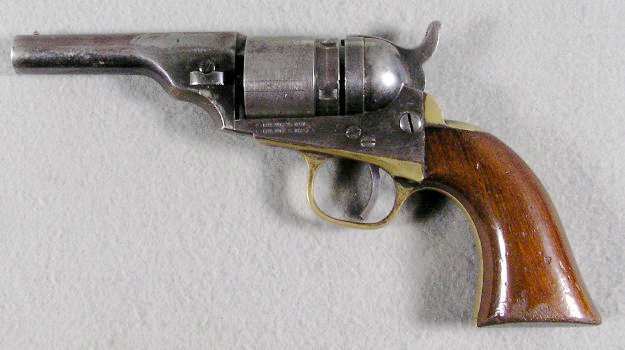 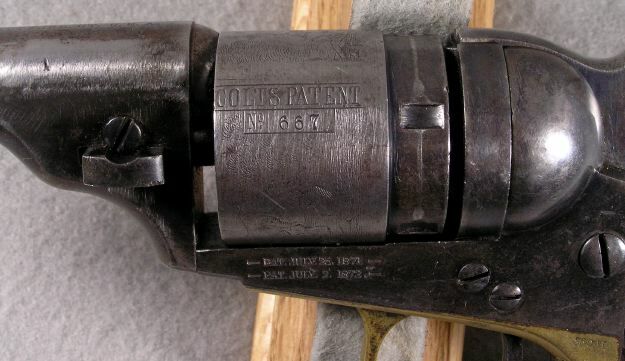 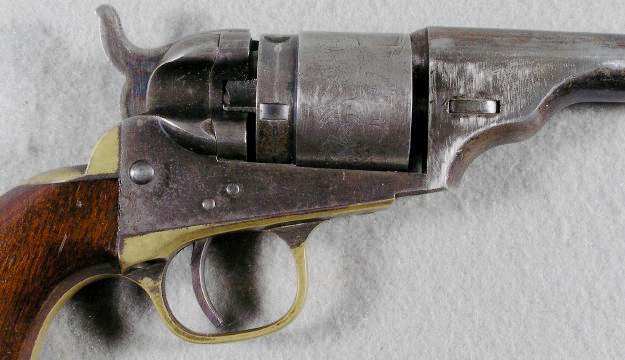 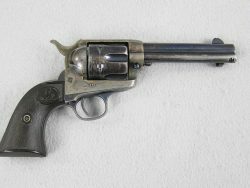 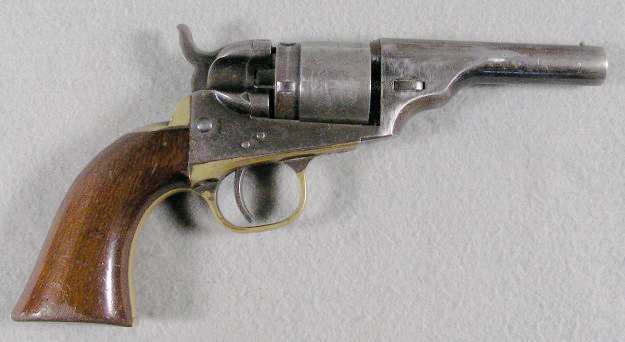 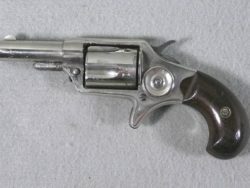 Colt New Model Breech Loading Pocket Pistol 38 Rimfire Caliber and was converted from original percussion parts with new cylinders and barrels. 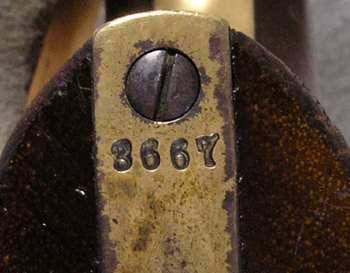 The serial number is 3667 and has all matching numbers. 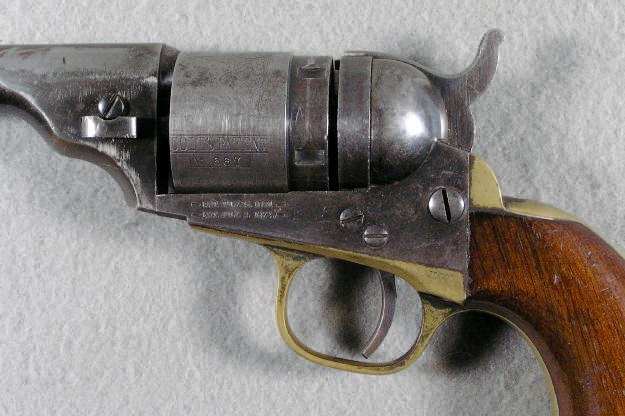 It retains 75% case colors, 40% fading blue. 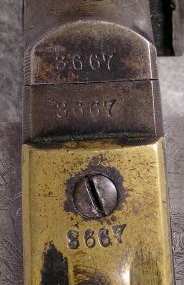 The cylinder has 92% cylinder scene and 85% grip varnish. 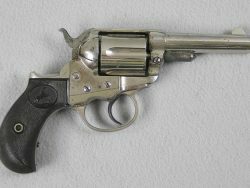 The bore is very good and shinny, also it has excellent mechanical function and lock up. 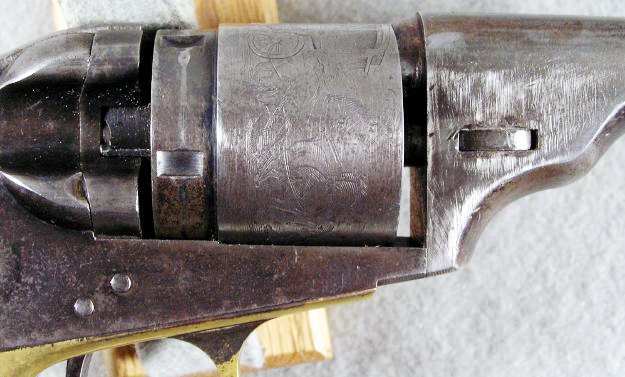 The trigger guard and back strap show nice traces of silver. 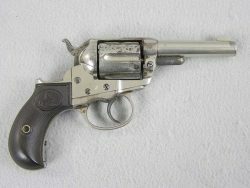 This is 38 Colt rimfire caliber.